THIS ONE IS FUN: This memoir is one, big Hallmark Card. Doanworrybowdit, man. This one is gonna be fun! You’ve heard all about it, how Twinklebear Lesley Maclean and I are this predestined couple, who were two souls who signed an unbreakable pact with each other—in angel’s blood, no less—before the world existed. You’ve heard all of our serious blather about how we were married old souls in other lives through the centuries, who knows how many times…how we have been fortunate to have been reincarnated to find each other, once again. Just doanworrybowdit. This one is different. Let’s leave the heavyweight lifting behind, for a change. This is about how we are every day. For Twinklebear and me, every day is Valentine’s Day. I was remarking today to Twinklebear, about how many times a day we must say “I love you” to each other. Now, I haven’t actually gone back and taken an actuarial count of these loving mutterings, but—and I kid you not, and exaggerate not–it has to be at least thirty times a day. After a moment of processing this fact, Twinklebear said….. I really could not have put it any better than that. 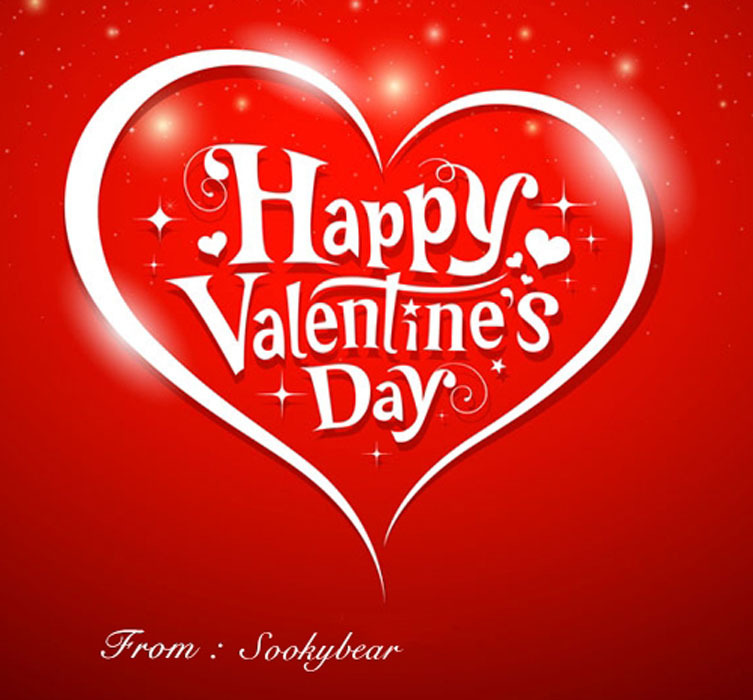 Hey man, every day with Twinklebear, is Valentine’s Day! Furthermore, we each want the other to know, that we are always feeling it, every second, and every minute, of every day. Yup, buckle up your safety belts, test your pre-read blood sugar levels, and take any precautionary, preemptive insulin injections you believe are necessary! This here memoir, is gonna be one big, saccharine-sweet, Hallmark Valentine’s Day card! Think about it, saying “I love you” 30 times in one day, to another person? For the average couple on Valentine’s Day once a year—that would seem to be unrealistic and perhaps even pathologically excessive. But not for Twinklebear and me. For us, this is normal—and we do it every day—not just one day a year. Not just normal for yesterday, and today, once today is over—but for every day for the past year-plus. It would seem abnormal and lacking, if we did not express this love for each other, this often. A forensic analysis of how many times a day we say “I love you” to each other, is not necessary, to get to the bottom-line truth here. Twinklebear and I are crazy-mad in love with each other, and this love only increases every and, not diminishes. It doesn’t mellow either, as the razor sharp edge of this love acquires greater acuity, as time goes on.